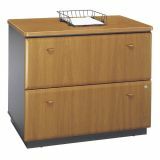 bbf Series A Lateral File by Bush Furniture - Lateral files feature durable 1" thick melamine work surface. File drawers hold letter or legal size files. 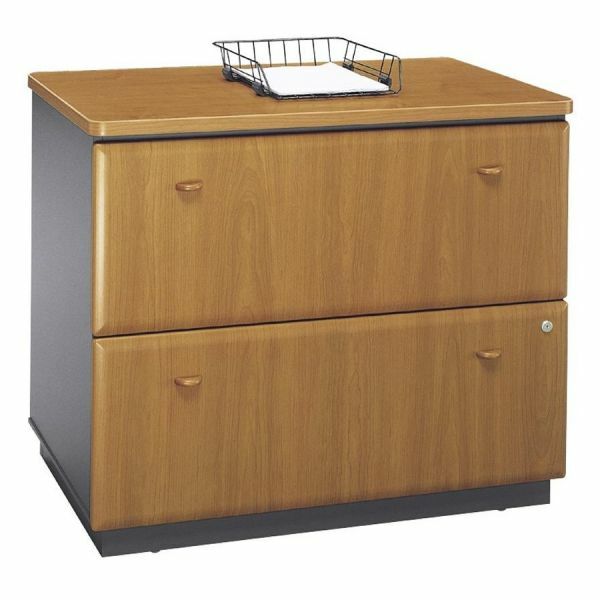 Interlocking drawers reduce likelihood of tipping. Gang lock with interchangeable core affords privacy and flexibility. Full-extension, ball bearing slides allow easy file access. Matches height of Series A Collection desks for side-by-side configuration. Levelers provide stability on uneven floors. Vinyl-clad drawer fronts are durable and easy to clean.